One cousin in particular would get these trucks every year. He had a collection of about five of them, dating back to since 1989. By the time I was playing with him in 1992, he had about three or four of them. We’d have a ton of fun, going into his apartment kitchen and turning off the lights, using the lights of the truck and driving around pretending its night. Despite all of this, I never had my own truck. I really don’t know why I didn’t get one. This was supposed to change. 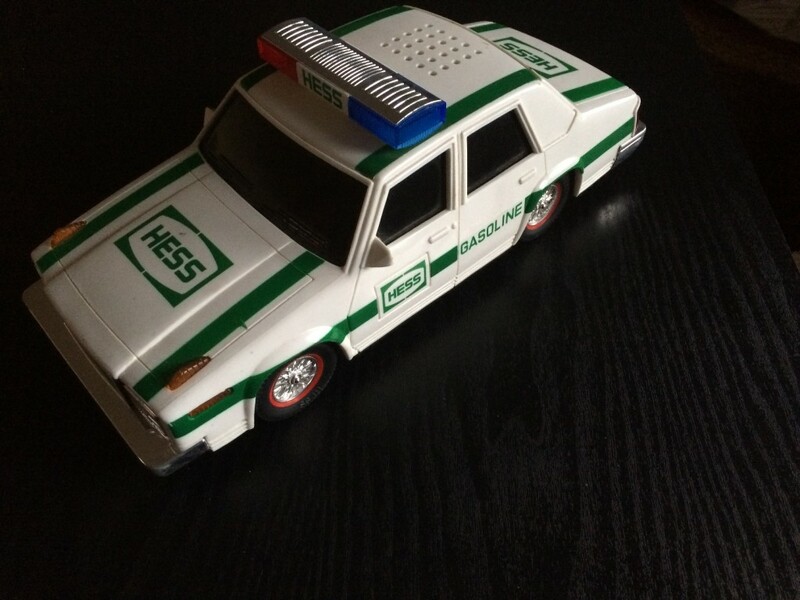 In 1993, Hess rolled out its new toy for the year; a Hess police car. This was a big deal as every toy previous was a truck, and this was a full-size car the same size (most cars came with the trucks as an accessory, so were much smaller). This was a huge hit, and word was getting around for people to grab this up. 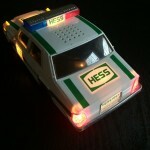 The Hess 1993 police car. My cousin’s mom was unable to find one of these cars, and asked my dad to look for one. He was traveling and stopping by several Hess stations on his travels, so he supposedly had a better opportunity to snag one of these cars. However despite this advantage, he found out that there was none to be found. Especially one of the last gas stations he had stopped, they had sold the last car out just the previous night. He kept looking for another week. After seeing the hype for all of this, decided that he’d get one for “us” (to share with all my siblings rather than me). Despite this change in attitude, that didn’t increase his luck. The amount of cars to be found was zero. Sad to return empty-handed, he was on his way back from New Jersey back to Tennessee when he discovered BP was selling their own trucks. This one was a short carrier-type of truck with a race car on top. He had bought two, giving one to me and the other to my sister. Turned out my brother liked it as well, so a 3rd one was bought and I got my sister’s, my brother got mine and my sister got the new one. (This still boggles my mind up to this day). My brother’s (formerly mine) 1993 BP truck. I still have a race car from the broken one. His has been collecting dust and stored out in the open. To add insult to injury, two cousins I wasn’t really on good terms with managed to get this car. 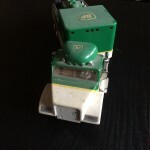 I only had found this out in 1998, years later I had quit worrying about getting Hess trucks. I briefly had gotten to hold it but nothing more. Two years later my dad got on the Hess truck hype again. In 1995, he brought back two of the new ones with the truck/helicopter combo. This time he didn’t buy a third simply because he had swiped the last two. That was all the store had. And since our trips to New Jersey had died down, it wasn’t feasible to get another one. These went to both my brother and sister, with none for me. 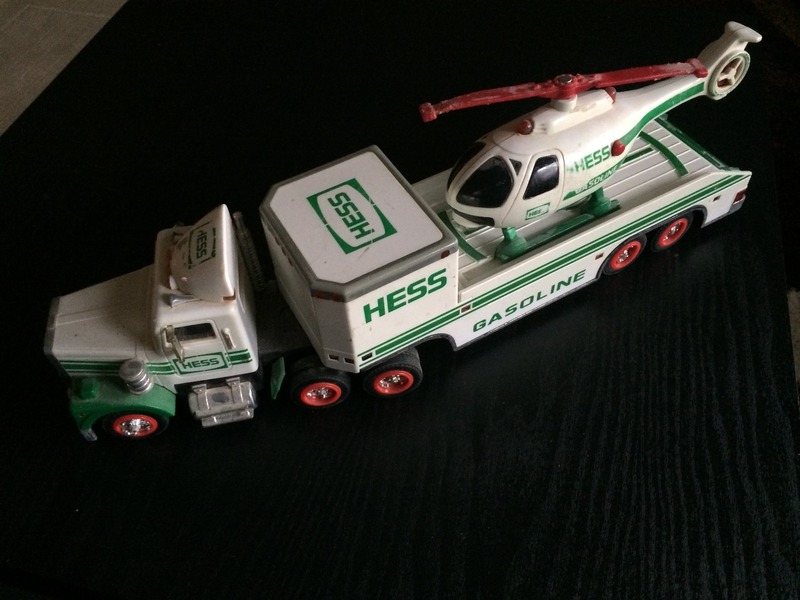 The 1995 Hess truck, with its companion helicopter. We quit buying Hess trucks afterwards. I stopped thinking about having my own and I never gave it back any thought. Eventually both my siblings outgrew theirs and put them in storage. 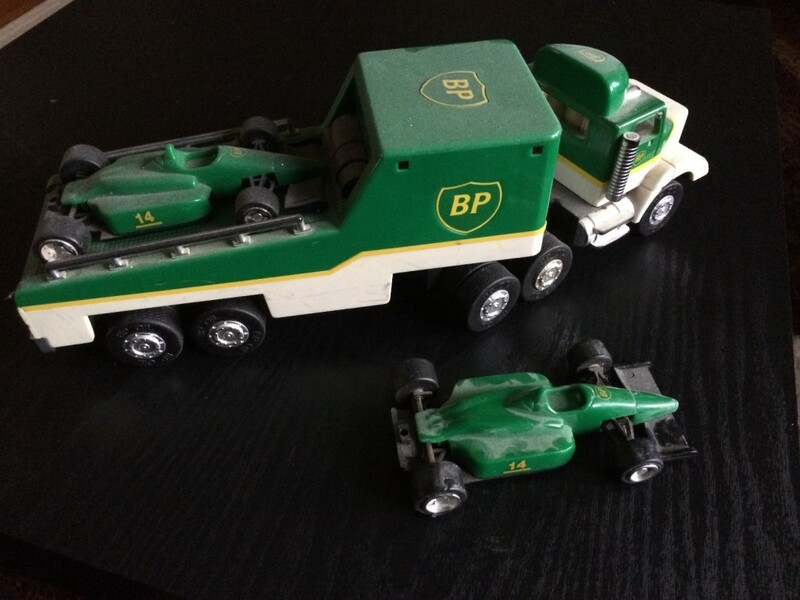 The three BP trucks that we had, my brother broke his and never got replaced. Don’t know what my sister did with hers, but I still have mine in storage with the rest of my toys. During my memento hunt near my birthday in 2015, I scoured eBay for whatever type of toy I thought I owned or knew for a fact that I had. Somehow during my parent’s ownership of a property, they had misplaced almost all of my childhood toys, several comics and even drawings that I had done. The latter wasn’t replaceable, but the former had great sentimental value to me. One of those items was the Hess car that I never got. I located one from a fellow in Florida in relatively good condition; I didn’t care for brand new *MINT* condition (had to imitate how most of the those things are listed in eBay). Close to my birthday it had arrived, and that same weekend I showed the new prize to my parents. It wasn’t a big reaction as I thought it’d be, but they did recognize that I had unintentionally “one-upped” my cousin after all these years. 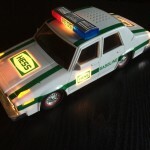 Sure, I an almost 30-year-old man spent $20 on a 23-year-old collectible Hess police car I wasn’t able to own when I was nine, but I did. I can close that chapter in my life that I never got to own one of those toys. Would I go out and try to buy a SNES and a Sagitta R/C car to fill the gap? No. Well, maybe the SNES. But those things that fellow cousins had didn’t mean or don’t mean anything to me now. Which comes to an interesting question. When we rush out and get things, why do we go do it? You want it, that’s fine. But why? Just because Tiffany down the street has it? To be the rage at school? Is it worth to have $250 worth of headphones for brand recognition when a $60 one would do fine and you can be the remainder for Steam games? Or do you most utterly love that $250 headphones and will be the happiest person on the planet when you get it? Philosophy aside, I’m glad that I was able to do the Memento hunt. I learned a bit about myself, and in a way restored some of my past. It was a bit of a journey down memory lane, something I had blanked out and ignored for quite a number of years. 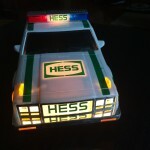 The Hess police car with the lights one. and back o the car! 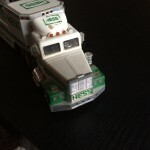 Front portion of the 1995 Hess truck. 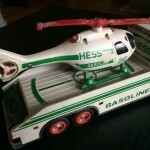 Another shot of the helicopter on the Hess truck. The helicopter has a lot of wear and doesn’t function anymore, but would have a rotating blade and flashing lights. The front of the 1993 BP truck. The front grille has fallen off.